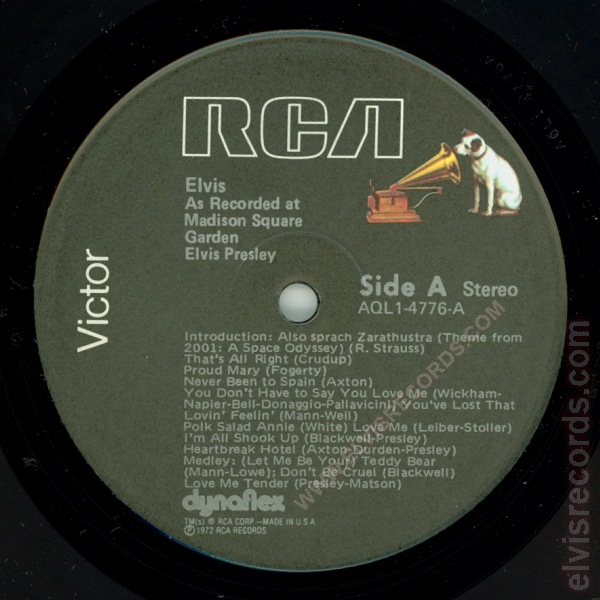 Cover Front: RCA Victor and catalog number upper left corner. With a RE-1 lower left corner. Cover Back: Catalog number upper right corner. Copyright info bottom centered. 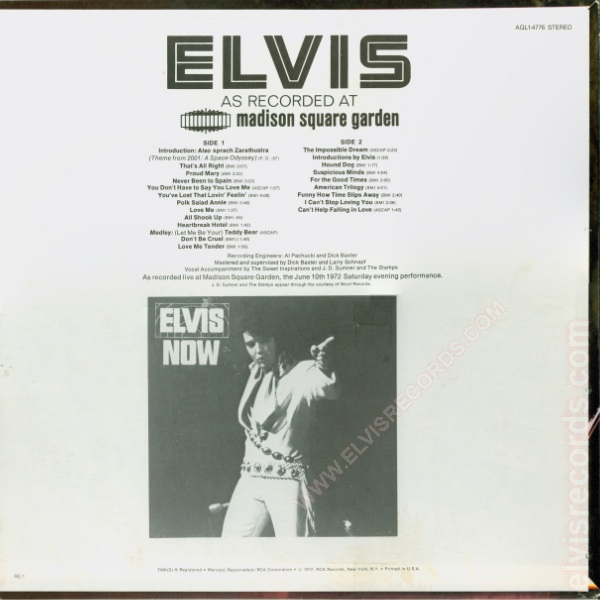 Features the image of "Elvis Now". With a RE-1 lower left corner. 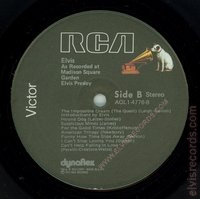 A significant difference between the back of the AQL1 and the AFL1 release is the image for Elvis Now. The AFL1 release shows the RCA LSP-4761 STEREO VICTOR in the upper right corner and catalog number under the picture, whereas the AQL1 airbrushes the catalog number from the image and the catalog from under the picture. 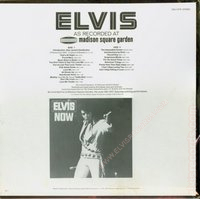 Most covers found are of the heavy grayish cardboard stock, copies may be found with the thinner white cardboard stock. Disc: (1983) Black label, dog near top. 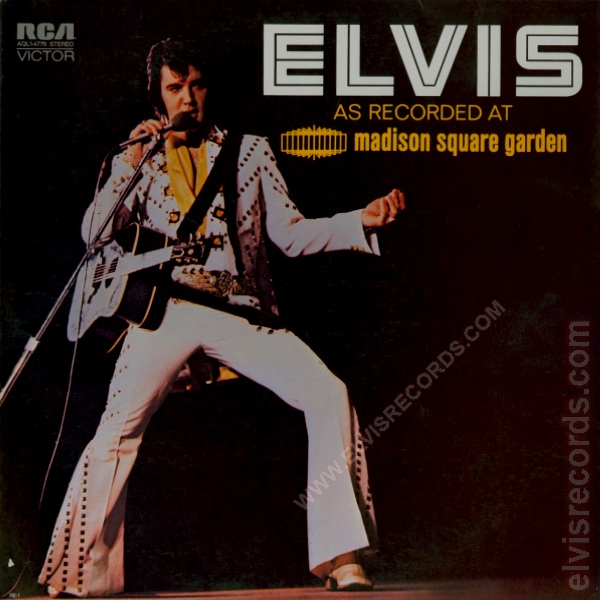 Originally released as LSP-4776 Elvis As Recorded at Madison Square Garden in 1972. 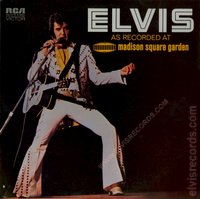 Re-released as AFL1-4776 Elvis As Recorded at Madison Square Garden in 1977.